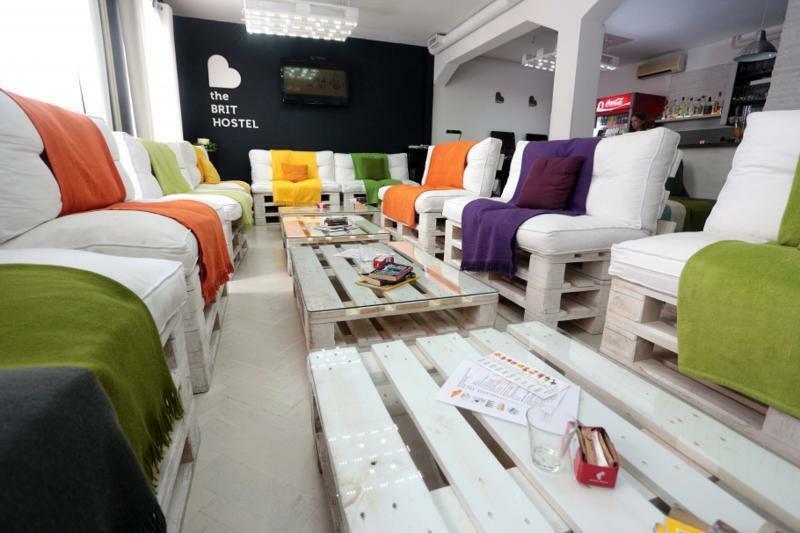 At The Brit Hostel Zagreb, we offer you cozy, quiet and comfortable accommodation in 13 mix dorms (from 2 to 12 beds), 24/7 open bar where you can enjoy your coffee (or maybe homemade grappa ), surf the web (free WI FI) or simply meet new friends. All equipment in dorms is FREE (linen, towels, air condition). The Brit hostel has a non smoking policy in the dorms, bar and hostel in general. One of the most important things in our hostel is cleanliness. Our rooms are simple, airy and clean. Every room has AC. Toilets and showers are all new, toilets are separated men&woman. Everything related to the bathroom is free - non stop hot water, usage of towels and hair dryers. If you get hungry, you can always fix yourself something to eat in our kitchen, which is equipped with everything you need for a decent meal. 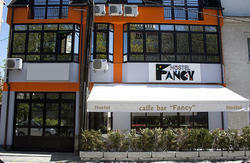 You can enjoy your meal in nice and modern dining area. 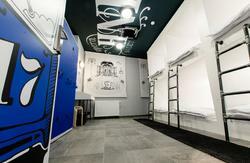 We also want our guests to be safe and secured while staying at The Brit Hostel Zagreb, therefore every dorm has free lockers for each bed and every floor (hallway) is under video surveillance. If you travel by bus - you will arrive at the central bus station in Zagreb (Drziceva street). Take the tram no. 6 (towards Crnomerec) and exit at the 7th station (Britanski trg - British square). Walk 30 meters ahead and on the left side you can find Andrija Kacic Miosic street and THE BRIT HOSTEL on no. 3b. If you travel by train - you will arrive at the central railway station in Zagreb. Take the tram no. 6 (towards Crnomerec) heading west and exit at the 4th station (Britanski trg - British square). Walk 30 meters ahead and on the left side you can find Andrija Kacic Miosic street and The Brit Hostel Zagreb, on no. 3b. If you travel by plane - you will arrive to Zagreb airport 'Pleso', 20 minutes drive from our hostel and Zagreb city center. You can take a taxi or Croatia airlines bus that goes to the central bus station in Zagreb. The bus leaves every full hour and every half an hour in front of the terminal at the airport; you may purchase a ticket from a bus driver. When you arrive at the central bus station you can take a taxi or the tram no. 6 (towards Crnomerec) and exit on the 7th station (Britanski trg-British square). Walk 30m ahead and on the left side you can find Andrija Kacic Miosic street and The Brit Hostel Zagreb, on no. 3b.